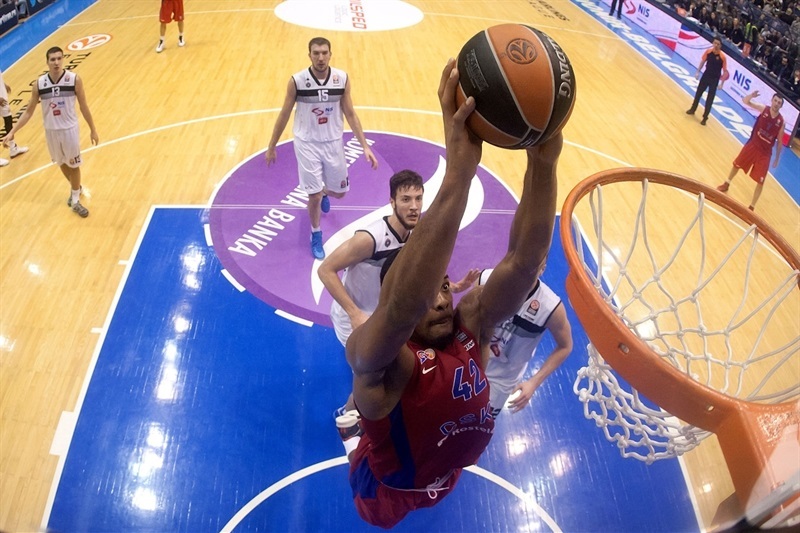 CSKA Moscow used its balanced offense and solid defense to hold off Partizan NIS Belgrade 62-73, but both teams had reasons to be joyous on Thursday night in the Serbian capital. The victory lifted CSKA into second place in Group A with a 7-3 record – the same as FC Barcelona, but the Russian champ held a tiebreak advantage over Barca. One the other hand, Partizan advanced to the Top 16 thanks to Fenerbahce Ulker’s win over Nanterre. CSKA held the lead for the majority of the game, but used a 0-9 run to end the third quarter, and a 3-10 spurt late in the fourth to hold on to victory. 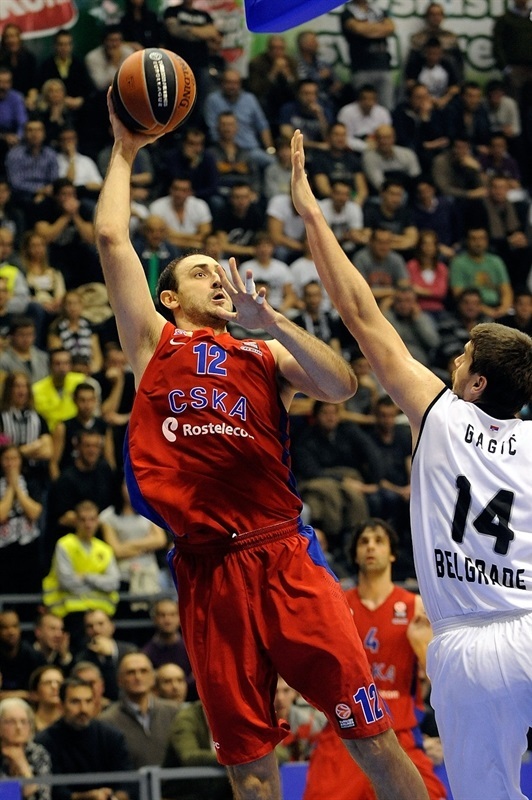 Sasha Kaun scored 12 points for CSKA, while Vitaly Fridzon, Nenad Krstic and Sonny Weems added 11 apiece. 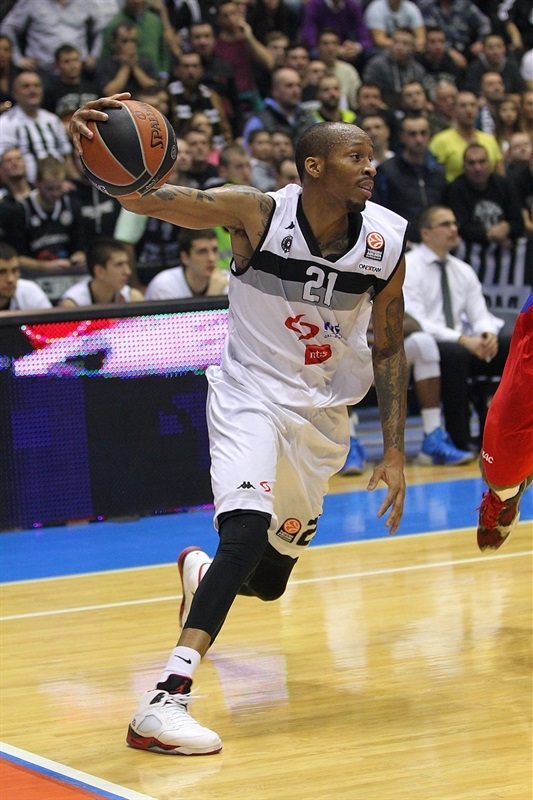 Weems also recorded 6 rebounds and 4 assists and Milos Teodosic collected 10 points, 7 assists and 4 rebounds in victory. 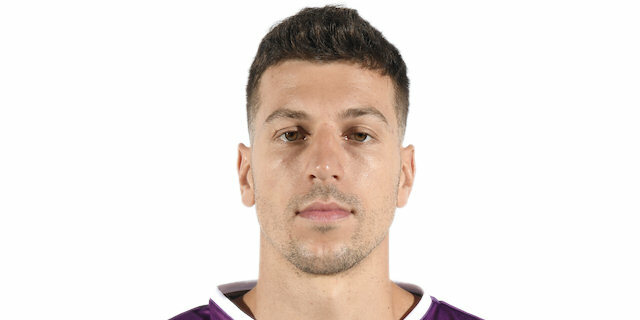 For the hosts, Dragan Milosavljevic netted 17 points, Joffrey Lauvergne and Dejan Musli each scored 11, while Bogdan Bogdanovic had 10 points and 6 assists. Kaun opened the game strong for CSKA with 6 points – a pair of dunks and twice he split free throws. 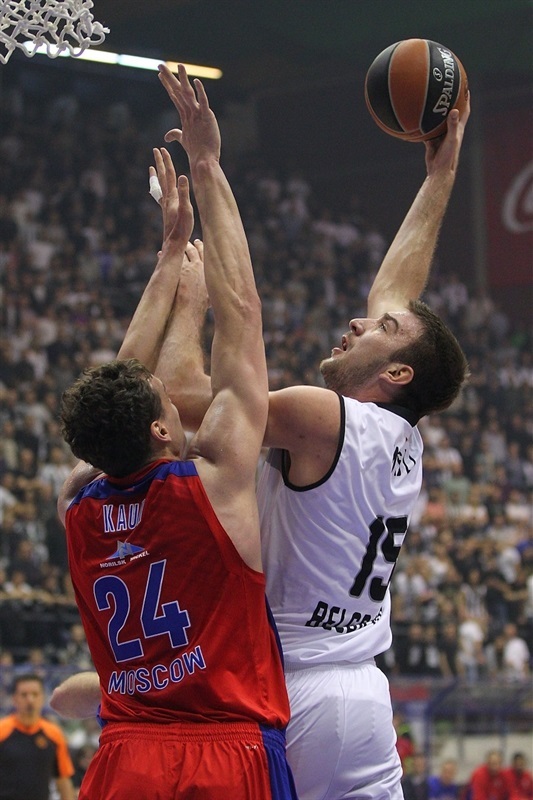 But Nikola Milutinov and Dejan Musli each scored from close range for Partizan, and Lauvergne made a dunk. CSKA regained the lead as Weems answered with a fastbreak dunk and a long jumper, followed by a put-back from Vladimir Micov for an 8-12 lead. After Krstic extended it to 6 points with a driving layup, Milosavljevic hit a three-pointer. Krstic and Kyle Hines scored from close range to make it 13-18, but Milosavljevic buried his second triple. 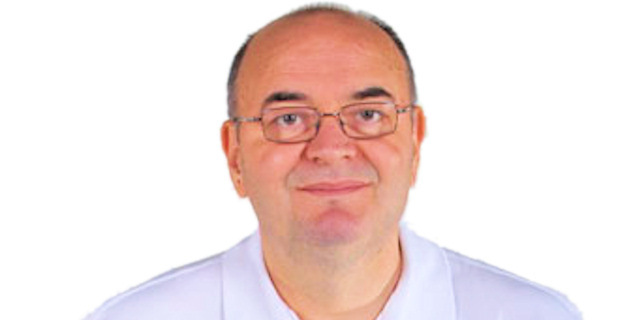 Krstic hit another jumper in the final seconds of the quarter, but Milosavljevic beat the buzzer from three-quarters length of the court to keep within 19-20 after 10 minutes. Bogdanovic buried an off-the-dribble triple to open the third quarter, and after Krstic hit another mid-range shot, Milutinov scored in the low post. Micov put CSKA back in front, but Lauvergne's basket-plus-foul tied it at 27-27. After Kaun made an uncontested dunk, the teams went into a scoring drought for almost three minutes before Hines scored from close range. Musli drove to the basket for the hosts, and Lauvergne drove for a huge slam in traffic, but Weems hit a top-of-the-key jumper, and Teodosic sank the first three-pointer for the visitors, 31-36. 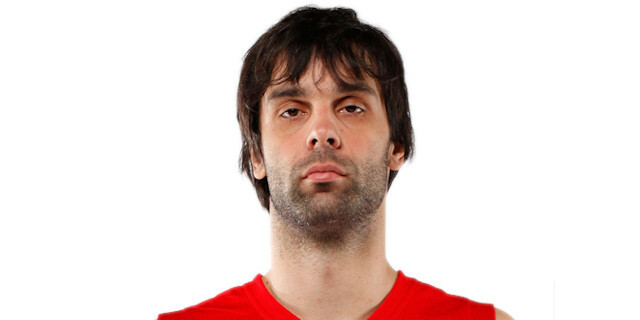 Teodosic added a nifty layup, and then brilliantly assisted Hines for a dunk. Musli scored inside, but Vitaly Fridzon nailed a triple from the left corner, giving the visitors a 36-43 halftime lead. Micov nailed a long jumper and Weems hit a short baseline jump shot to open scoring in the second half with the first double-digit lead of the night, 36-47. On the other end, Lauvergne answered from short range, and Tarence Kinsey hit from long range. Krstic and Lauvergne traded baskets inside, 43-49. Kinsey drove for a floater to keep Partizan's run going, and Bogdanovic drove the baseline for a reverse layup and 47-49. Musli scored in traffic to get the hosts within 1, before Weems buried a three-pointer and sparked a 0-9 run. Weems also assisted Kaun for an easy layup, and stole the ball that led to a triple by Micov, as the lead reached 49-59 at the end of the quarter. 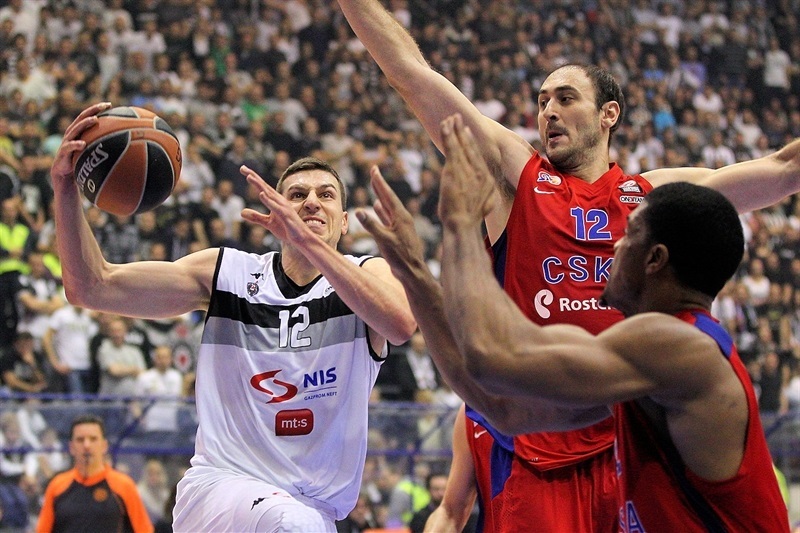 Partizan opened the fourth quarter with high energy. Bogdanovic hit a triple, then stole the ball and raced for a layup. On the ensuing trip down the floor, the hosts hustled to grab 3 offensive rebounds before Milosavljevic sank a short jumper, 56-59. However, neither team scored a field goal for almost three minutes before Kaun scored a layup. Milosavljevic answered with a layup-plus-foul to make it 59-63 midway through the quarter, but Micov hit a wide open three-pointer to give CSKA more breathing room. The hosts kept struggling offensively, while trying to defend with a zone defense, and Teodosic hit from long range for a 59-69 margin with 78 seconds to go, sealing the deal. Before game’s end, Hines and Teodosic each sank a pair of free throws, before Kinsey rounded out the scoring. "We opened the game like it was decisive for our Top 16 hopes. But there was a high motivated team like CSKA on the other side. They deserved the win managing to split our play with aggressiveness in the second half. I am very satisfied with our play. Entering the Top 16 is a fantastic success for us. We shall see in the next days if we can be stronger in the Top 16." "Congratulations to my players for an excellent game against a very good oponent. Partizan is better each week and with Tepis and eventualy Bertans it would be an extremely hard team to beat in Top 16 competition. We played in a wonderful atmosphere tonight and only bad news is that we shall play again with Partizan in next few weeks, but stronger and a more quality team than tonight." "We played well this season and we absolutely deserved to be in Top 16. Tonight CSKA showed that it is one of the best European teams. We also played pretty good. The Top 16 means a lot to us. That means we shall improve and mature in the next 14 games." "A very important win for our self confidence. We played extremely quality game tonight and I think this is the end of our bad phase from the last weeks. We played like a team and we beat Partizan with team play. Partizan is full of talents and I wish them the best luck in Top 16. The next few days we shall rest and recover our energy."